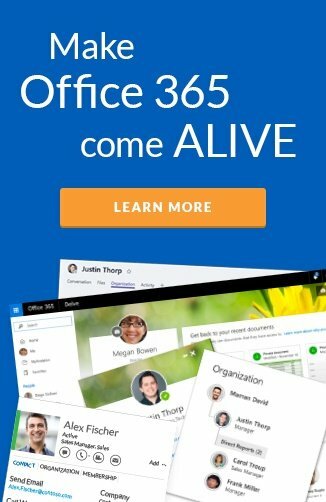 Quickly following on the release of our employee directory, (Live Directory), the Org Chart marks the latest feature focused on employee self-service experiences. 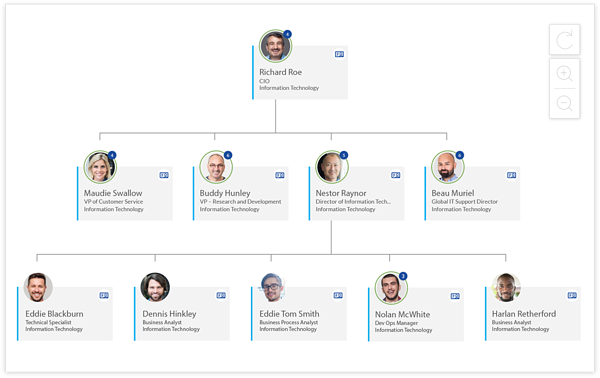 Our Org Chart web part provides everyone in your company visibility into all the divisions, teams and people within it and makes it simple to connect and collaborate across the entire organization. The web part provides organizations with a reliable, customizable and easy to use Org Chart within their intranet. It forms part of the Hyperfish service and utilizes our bot technology (Hyperbot) to proactively engage employees to ensure profile information is always up-to-date and complete. We’ve made it super easy to explore the entire org chart and all the people who sit within it. Expand and collapse reporting relationships– the number icon indicates how many people report directly to that employee, clicking the employee will expand or collapse all employees that report to them. Set the head of the org chart – the org chart can be configured to show different parts of your organization i.e. select the Chief Information Officer as the head to display the IT team org chart. Hover over for quick details - Hovering over people will immediately display their name, title and department. Customize the display – the zoom and display settings are customizable, to optimize the experience to your organization’s needs. Org charts are an essential business tool that let all employees to find and learn about their colleagues, as well as understand the structure of the organization and the relationships within in. For many organizations the biggest challenge around Org Charts is keeping the employee information and reporting relationships accurate. Through our Hyperbot, the process of keeping organizational hierarchy up to date is automated. Hyperfish proactively reaches out to employees with missing and incorrect profile information and provides them a quick and easy way to update these details, including their “manager”. Our approvals feature provides additional assurance that the Org Chart will reflect the current reporting lines. Here at Hyperfish we are committed to helping your team connect and collaborate quickly and easily. Our revolutionary approach uses Bots and AI to ensure the Org Chart is always complete and up-to-date. Hyperfish continually monitors your environment to ensure consistency, compliance and governance of critical profile information as your organization changes. 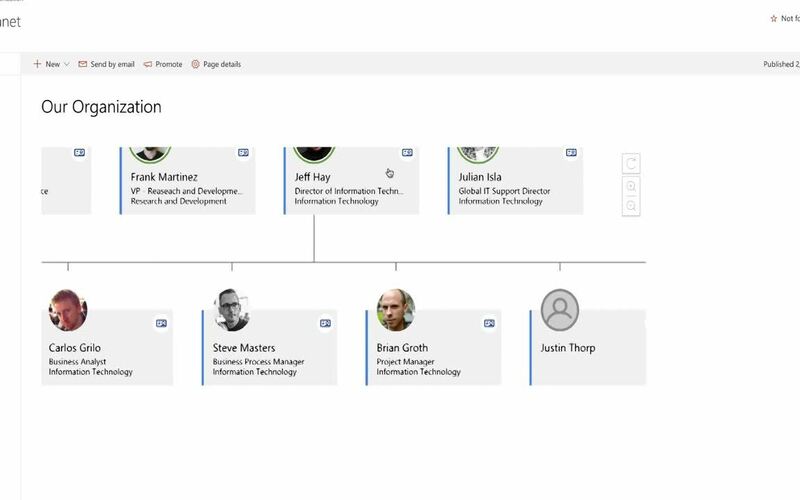 Available with the Premium edition of Hyperfish, the Org Chart web part works in Office 365 as well as LiveTiles Design.